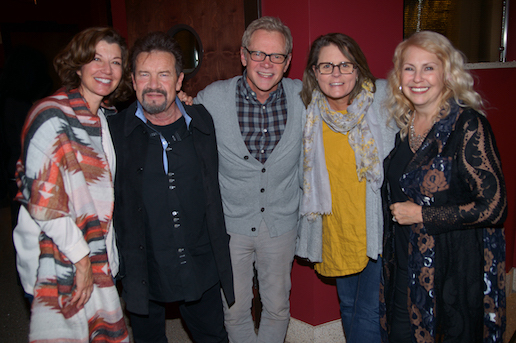 Pictured (l-r) following the presentation of “Russ Taff: I Still Believe” at Franklin, Tennessee’s historic Franklin Theatre: Amy Grant, Russ Taff, Steven Curtis and Mary Beth Chapman, and Tori Taff. 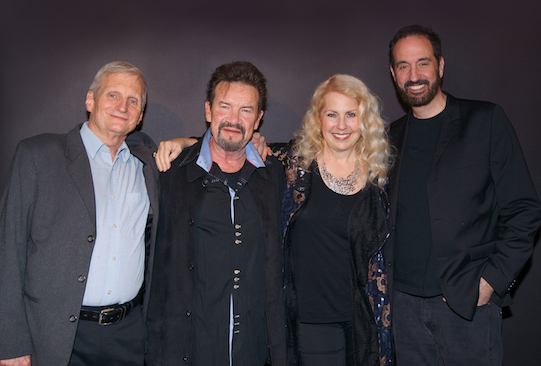 NASHVILLE, Tenn.— Premiering in more than 700 movie theaters nationwide for a one-time special presentation, Fathom Events/Fuseic Entertainment’s “Russ Taff: I Still Believe” was the #2 per screen average (PSA) movie in America for the night of October 30, according to data collected by Comscore. With multiple screen sellouts in several cities—including Dallas, Minneapolis, Nashville and Tulsa, Oklahoma—the documentary is one of Fathom Events’ top faith-based music-themed presentations. 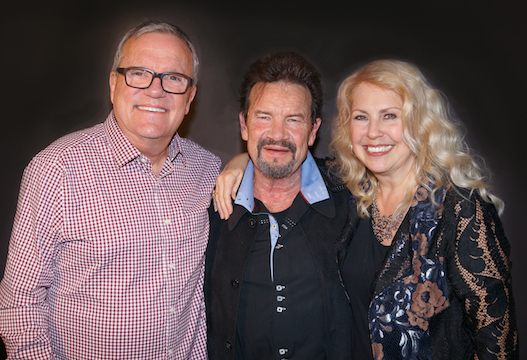 “Russ Taff: I Still Believe” chronicles the GRAMMY® and Dove Award winning artist’s unparalleled musical journey and behind-the-scenes battle with alcoholism. Taff candidly reveals how a tumultuous past fueled his own addiction and the ultimate healing he embraced in the power of Christ’s love and forgiveness. Immediately following the presentation, theater audiences were treated to a special acoustic session with Taff and GRAMMY® Award-winning singer/songwriters Amy Grant and Steven Curtis Chapman. Russ and Tori Taff; director Rick Altizer, Fuseic Entertainment. In addition, Taff’s debut praise and worship recording, Believe, bowed last week from Sweetwater Studios, a division of Sweetwater Sound, and with global distribution from The Fuel Music. The full-circle, 12-song release is Taff’s first recording in more than seven years and is available at physical and digitalretailers everywhere.Hailed by Billboard magazine as “the single most electrifying voice in Christian music,” Russ Taff has garnered six GRAMMY® Awards and 18 Gospel Music Association Dove Awards. Inducted into the Gospel Music Association Hall of Fame an unprecedented three times—as a soloist, as well as a member of The Imperials and the Gaither Vocal Band—Taff is also a member of the Christian Music Hall of Fame and the Arkansas Walk of Fame. Rising to prominence with The Imperials, trailblazers of the contemporary Christian music movement of the 1970s, Taff was the voice behind such quintessential hits as “Praise the Lord,” “Trumpet of Jesus” and “I’m Forgiven,” among many others. His genre-defying sound later endeared him to Southern Gospel audiences, and he spent nearly three years as a member of the world-renowned Gaither Vocal Band. Taff has recorded 11 solo albums to date, including industry benchmarks Medals (1985), Russ Taff (1987) and Under Their Influence (1991), and his classic singles include “We Will Stand,” “I’m Not Alone,” “Not Gonna Bow” and “Love Is Not A Thing.” From rock giants Kings of Leon to MercyMe’s Bart Millard and Newsboys’ Michael Tait, Taff’s influence is felt throughout the music world. For further information visit turningpointpr.com, russtaff.com or russtaffmovie.com.